Impreso is the holding company of the following subsidiaries: (i) TST/Impreso, Inc. ("TST"), a manufacturer and distributor to dealers and other resellers of various paper and film products for commercial and home use in domestic and international markets, (ii) HotSheet.com, Inc., the owner of Hotsheet.com®, an online web reference directory, and (iii) Alexa Springs, Inc. ("Alexa Springs"), the Company's natural spring water bottling subsidiary. Currently, TST sells and distributes a majority of the Alexa Springs bottled water products. TST has approximately 2,500 customers, ranging in size from small business forms dealers to large office product wholesalers with multiple offices and branches that purchase our hard copying imaging products; and hotels, car dealerships and food and beverage distributors that purchase our bottled spring water products. 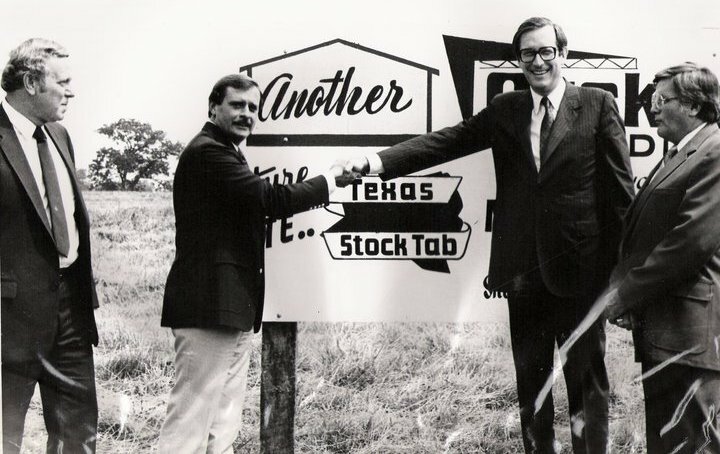 TST, a wholly owned subsidiary of Impreso, was founded in 1976. TST originally operated solely in the hardcopy supply market, which encompasses those products used with a hardcopy output or "imaging" device. Approximately 99% of TST's total hardcopy output is initially sold domestically. Independent resellers purchase and may further distribute the products internationally. Through its five manufacturing facilities and 10 public distribution warehouse locations throughout the United States, TST manufactures and distributes its hardcopy products under its own IMPRESO® and Alliance® labels, generic labels and private labels. The hardcopy imaging business is a very competitive industry. Changes in hardware and imaging material technology continually change the industry's customers, products and channels of distribution. TST has strategically located its distribution points so that it can deliver its hardcopy imaging products to customers in most major cities in the United Sates within 48 hours. The anchor segment of our customer base is large and medium size mass merchants, including computer and office superstores. Our primary method of generating sales contacts is through our own sales force, manufacturers' sales representatives, extensive marketing programs, referrals and reputation. HotSheet.com, Inc. manages the HotSheet web directory at www.hotsheet.com. HotSheet is a popular single page directory of top web sites in categories such as news, finance, travel and shopping, organized for easy access. Alexa Springs, another wholly owned subsidiary of the Company, bottles natural spring water from the Ouachita Mountains near Mt. Ida, Arkansas and in North Powder, Oregon. Production began in 2005 in Arkansas, and in 2007 an existing facility in Oregon was leased. Currently, we are selling bottled spring water under our brands, Alexa Springs Water and Oregon Trail Mountain Spring Water, as a private label. Target markets are primarily private label customers for whom we apply a custom designed label to the bottled water products with over 10,000 designed labels. In July, 2009, Alexa Springs executed a product supply and co-packing agreement for enhanced water beverage product containing a patented compound with the owner of the compound. In January 2010, Alexa Springs executed a shipping and handling services agreement with the multi-level marketing company that has exclusive rights in the United States and other territories to sell the enhanced water beverage products through specified channels of distribution. TST Markets its products to approximately 2,500 customers through its own sales force and established manufacturers' representatives. TST's targeting customers for paper products are business consumable and office machine dealers and large and medium size mass merchants, including computer and office superstores. We are continually seeking to diversify our customer base and distribution channels. TST has 15 distribution points (10 public distribution warehouses and five manufacturing locations), for its hardcopy imaging products, which enable it to deliver products to most major cities in the United States within 48 hours. TST has two additional points for its water products, the spring water bottling plants in Arkansas and Oregon. TST's primary method of generating revenue is through its own sales force. The members of this sales force generally seek business within specific geographic territories. Manufacturers' representatives serve as an important supplementary source of sales and marketing. Their territories are identified by specific accounts or prospects, primarily those of a retail nature. We also sell bottled water products to beverage distributors, convenience stores, private label water resellers, food and restaurant supply distributors, advertising agencies, hotels, restaurants and car dealerships. Alexa Springs produces the enhanced water beverage for one customer, which sells the products exclusively on an international multi-level marketing company. TST provides shipping and handling services in the United States to the multi-level marketing entity.